a two-day interactive course consisting of advanced theoretical lectures, live demos and hands-on workshopstailored to the needs of the attendees. Six hands-on workshops will provide the opportunity to master the scanning techniques via small groups trained by expert tutors. 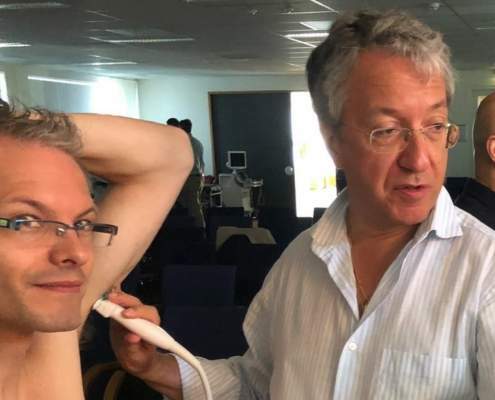 The MUST-1: Shoulder and Hip course is aimed at musculoskeletal radiologists, rheumatologists, orthopedic surgeons, physical medicine and rehabilitation specialists, sports physicians, physiotherapists and any other medical professionals with an interest in musculoskeletal ultrasound. Amsterdam: UEMS credits will be applied for medical specialists. They are valid all over Europe, the United States and Canada. 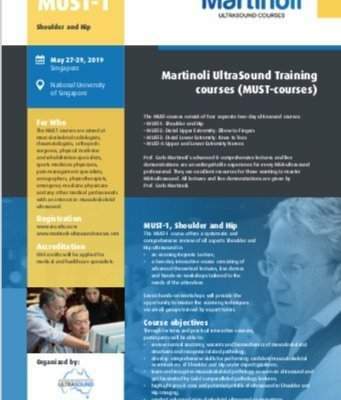 Accreditation for MUST-1: Shoulder and Hip course has been also requested at the NHG, NVBMR, KNGF. Singapore: CME credits will be applied for medical and healthcare specialists.